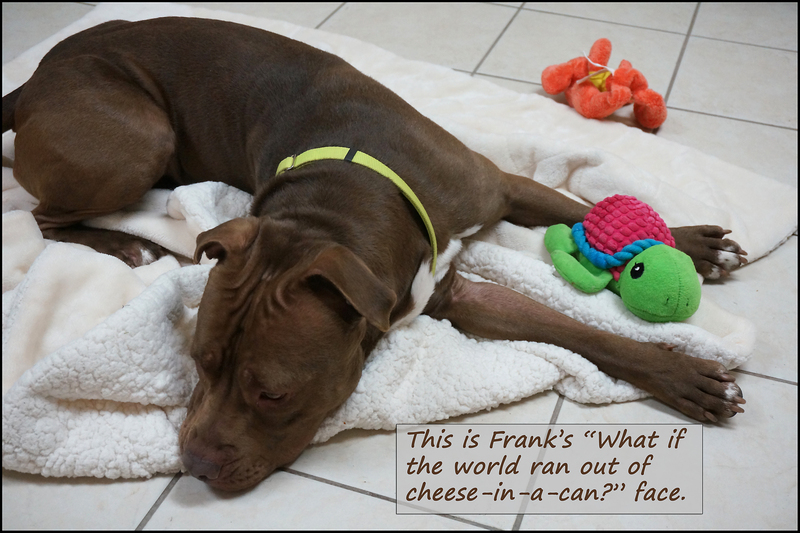 An Easy, Fast, Inexpensive Way You Can Help Shelter Dogs | To the Rescue! While you might think volunteering with shelter dogs mostly involves walking and showering them with affection, there is actually a lot more going on behind the scenes as you can see demonstrated in the great videos on this Caged for Canines page. 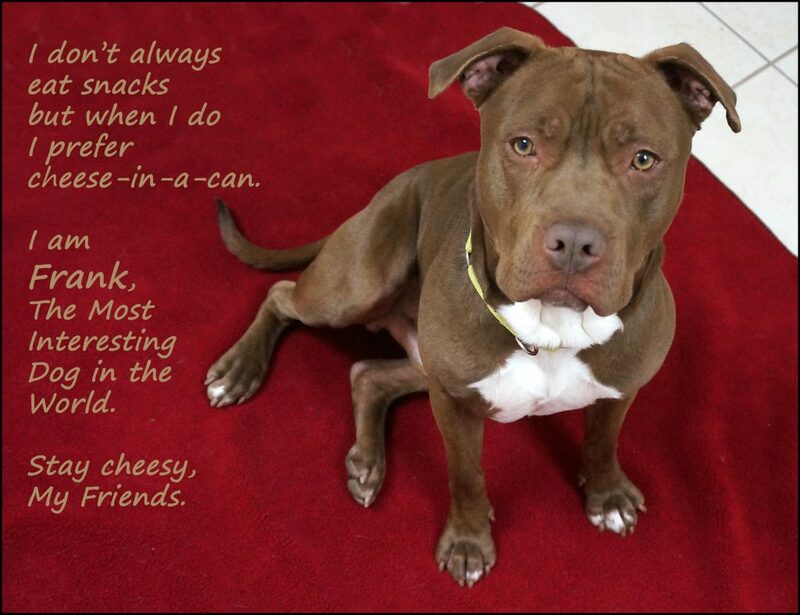 Remember, shelters and rescues are not just housing homeless animals. They are trying to help them get into lasting homes. One way of doing that is by teaching dogs basic commands and skills like how to walk on a leash, how to not jump on people like maniacs, all those words we like dogs to understand like Sit, Leave It, Down, Off and fun stuff like Shake and Roll Over. Dogs that know basic commands and can demonstrate good manners have an easier time finding, and keeping, adoptive homes. 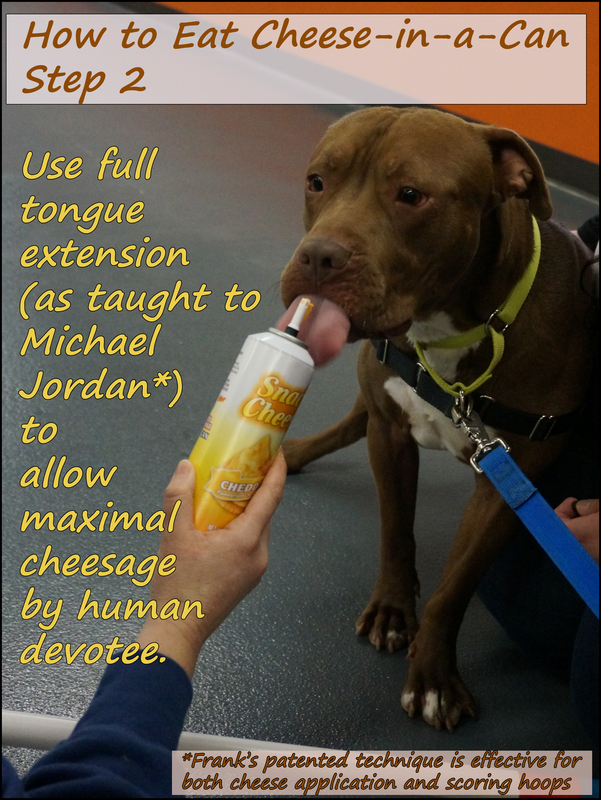 Learning is good for shelter dogs, and their human caregivers, on so many levels. In addition to helping set dogs up for adoptive success, training keeps them stimulated and engaged (shelters can be as boring as they are stressful when you sit in a kennel for hours at a time). And let's remember, for staff and volunteers, it makes the work day go a lot smoother when the dogs aren't going stir crazy. A mentally stimulated dog that is engaged and understands what humans are asking it to do is calmer and easier to care for. 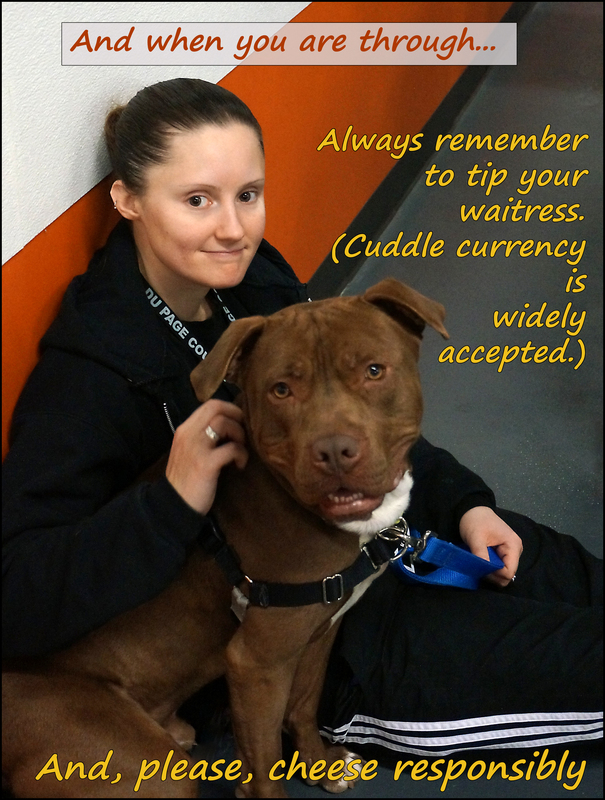 And the calmer dogs are, the calmer the shelter is, and that is always appreciated by visitors who are looking to see if their new best friend is waiting for them there. 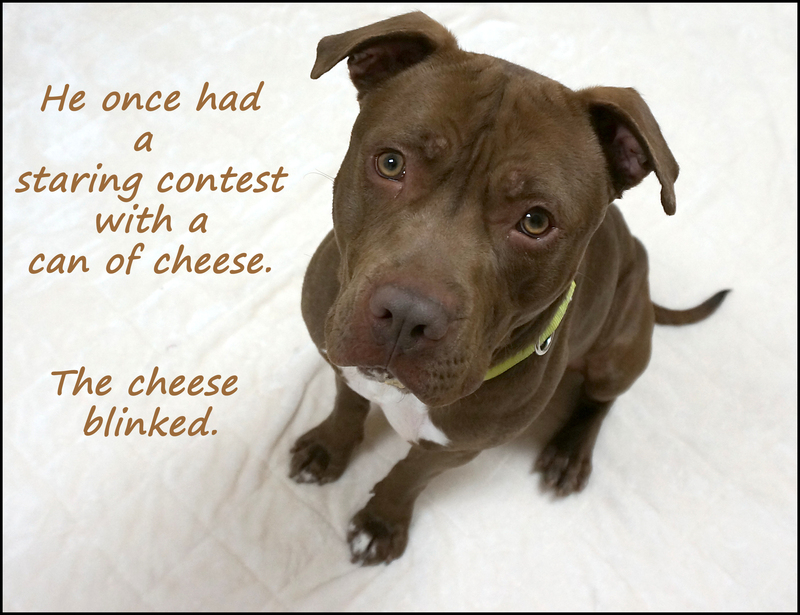 All that training for all those dogs means shelters go through LOTS of yummy treats. The tastier the better! 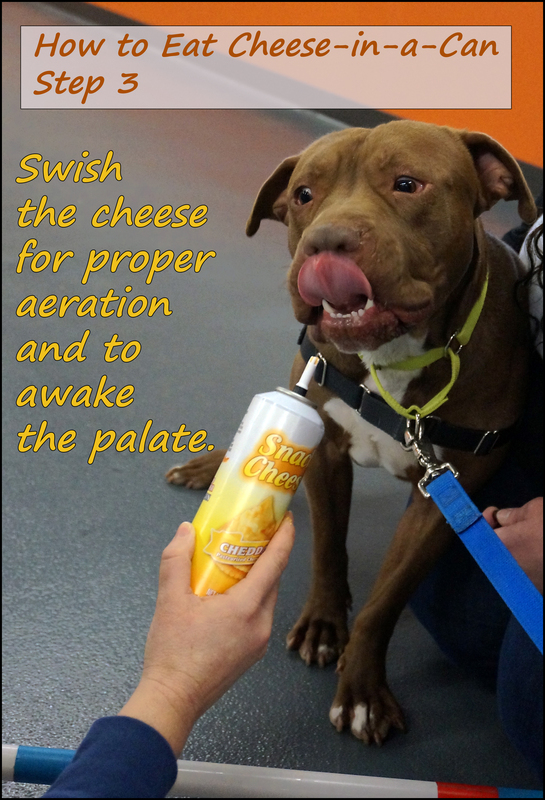 This is not the time to quibble about whether cheese-in-a-can and hot dogs are the ideal canine diet! Remember, coaxing a dog who is feeling overwhelmed at the shelter into learning new things (especially those who never had anyone try to teach them stuff before!) means meeting the dog more than halfway to help them get past being nervous and afraid. Look at it this way...If I were stressed out and you wanted me to sit down and talk with you and you said, "Hey, here is a lovely batch of steamed kale. Come here and visit with me..." Wellll, I'm down with kale, for sure, but I might take a pass. But if you had a nice piece of gooey chocolate cake, you know, you would have my attention. And that is where you come in. Next time you are shopping, think 'comfort food' for dogs and pop a little something in your basket for the pooches who are hard at work learning how to be the best dogs they can be while they wait for their forever families to find them. 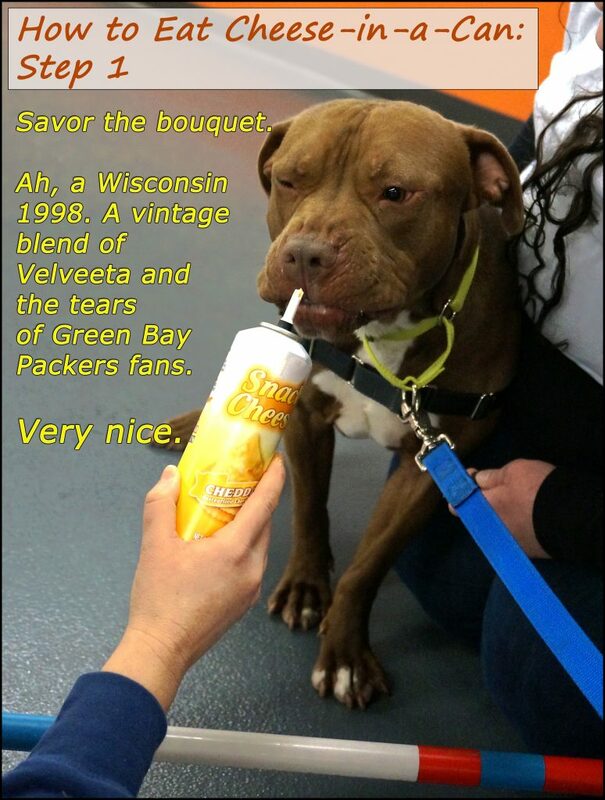 And for any dogs reading along, Frank offered the following tips on cheese-tasting etiquette.